For those unaware, Mewtwo is now available as DLC for Super Smash Bros. for 3DS and Wii U to those that own copies of both versions. Eligible players will be receiving an email from Club Nintendo with two codes for both the console and handheld versions. Mewtwo is a veteran fighter for the series, but this is his first inclusion in the series since Super Smash Bros. Melee for the GameCube, as he was absent from the Wii’s Super Smash Bros. Brawl. 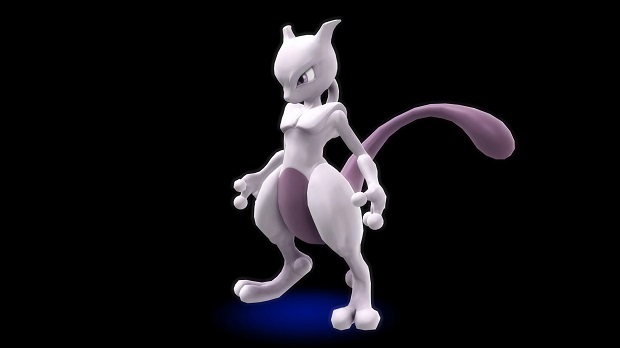 Those who don’t own both the 3DS and Wii U versions of Super Smash Bros. will be able to purchase Mewtwo on April 28th.